This was a group exhibition showing the work of 22 artists from Edinburgh who had each recieved support from the City of Edinburgh Councils visual arts and crafts awards scheme. 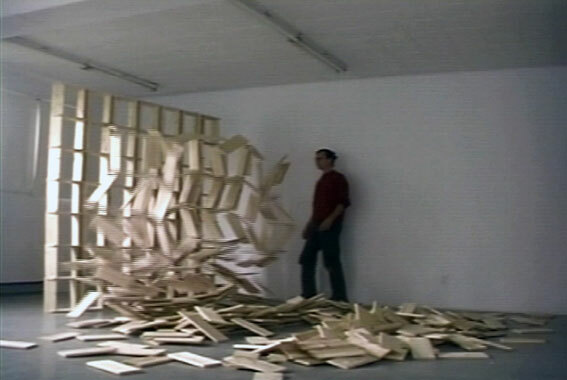 The work shown in this exhibition details the video documentation of a series of experimental prototypes created over the period of 8 weeks while on residency at the Centre de Sculpture Est Nord Est, Canada, between September 1999 and November 1999. 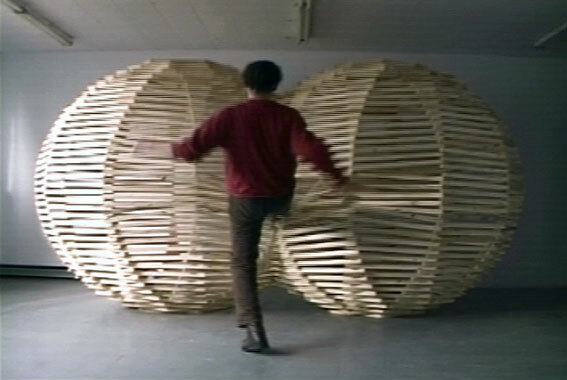 The installations themselves were created through a simple process of stacking and balancing. The severe limits within the building of each work bring a discipline to the creative process that allows for infinite possibilities within these restricted parameters. 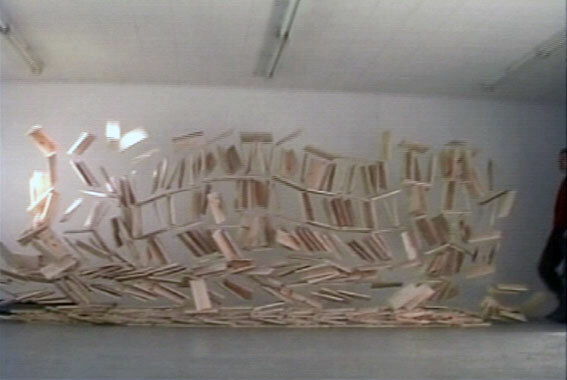 The end result – the video documentation presented in the exhibition– shows the destructive element within the work.